It's time for the second edition of Wordy Wednesday...a rambling post about what I'm reading as well as completely off topic things like photos of Cidney the Girl Dog. This is a young adult book, but if you are reading this post, no matter what your age, you should read this book. Let me back up a bit... my library, as all libraries across the land, is in the midst of our Summer Reading Program. Remember that as a child? Well, we have programs for babies, kids, teens and adults as well as a special program for staff. I'm moderating all the staff reviews and more than one person gave this book a 5 star, rave review. The perk of reading all these reviews? My "to read" list is growing longer and longer! This book is beautifully written. Honest narrative, great character development, and just sweet and touching. The author is a poet, and you can feel that in his prose. I must admit, once I started it, I didn't put it down and stayed up way, way too late to finish it. 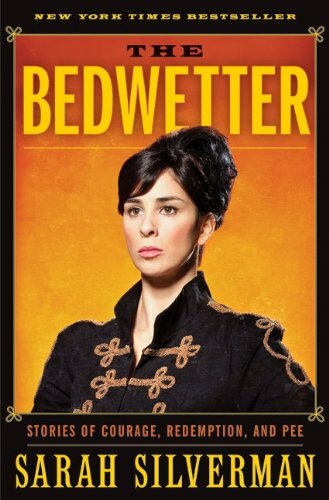 I'm listening to Sarah Silverman's audiobook, The Bedwetter: Stories of Courage, Redemption, and Pee . My library has OverDrive to download and listen to audiobooks. I usually bake or walk the dog while listening. I try to get memoirs on Audiobook when they are read by the author. Sarah reads her book, and it sounds like they are short comedy vignettes. I'm only about an hour into the book, but like it so far. I wanted to recommend two other books by very funny ladies if you haven't read them yet. 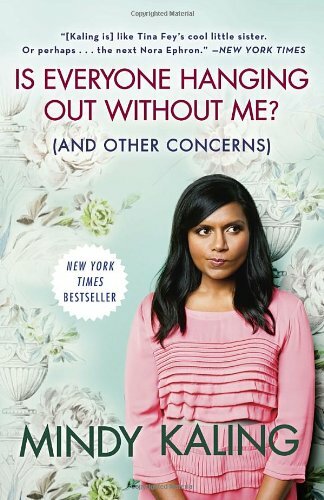 Have you read Mindy Kaling's (of the Office and The Mindy Project) book: Is Everyone Hanging Out Without Me? (And Other Concerns)? It's soooo funny. I read this on a plane last year and laughed the whole flight. 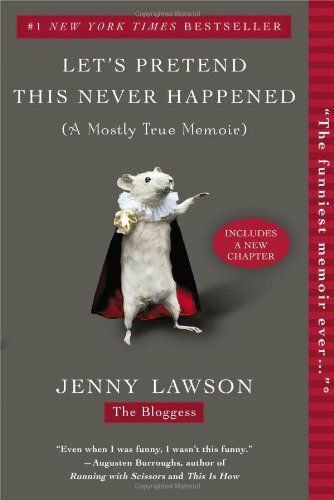 But I think my favorite memoir in the past couple years has to be Let's Pretend This Never Happened by The Bloggess, Jenny Lawson. Her blog is hysterical and this book is so funny. I was reading it at lunch and almost spit up my drink. If you want stories that involve a turkey that stalks her to school (literally), interesting parents and some challenges and triumphs with mental health, the human spirit (why do so many reviews talk about the human spirit? I just threw that in to make this rambling review sound more legit) and just funny stories, this is for you. It's awesome. Finally, this book just came in the mail: The Associated Press Stylebook 2013 (Associated Press Stylebook and Briefing on Media Law) . I like it so much I even Instagrammed it. Big thanks to my friend Jami (who has a master's in Journalism from the Medill School of Journalism at Northwestern) who introduced me to this book (I have the 2009 edition). First, let's be clear here... if you've been reading this blog for any time and know of the AP Stylebook, then you know that I violate most rules expressed in the book! However, I just love reading it and discovering new things. It has an alphabetic list of topics that journalist need to know so their writing is consistent. Sometimes, it's just the correct spelling. An example: touch screen (two words) is used as a noun, and touch-screen (hyphen) is used as an adjective. For the entry, "naval, navel" it says "Use naval in copy pertaining to the navy. A navel is a bellybutton. A navel orange is a seedless orange, so named because it has a small depression, like a navel." Don't you feel smarter already?! Am I going to misspell this later this year on this very blog? I'm sure I will. Disclosure that I have to say every time: I'm a member of the Amazon Affiliate program and if you do decide to purchase a book from the links above, I get a few cents. But totally take this list and head to your library. That's cool. Keeps me in business too. Thanks for these recommendations - my list is growing too! I teach a grammar class and I'm very impressed to hear you're reading the AP style book! I read 3 books on vacation and loved each of them so much - The Language of Flowers by Vanessa Diffenbaugh, The Night Circus by Erin Morgenstern and Memoirs of an Imaginary Friend by Matthew Dicks. All so different but fantastic. And, I'm reading Mr. Poppet's Penguins out loud to my kids :). I am reading Mindy Kaling's book right now. Loving it, such a quick, easy and funny read. I loved Jenny's book too - she is hilarious! Oh how we love summer reading! As a student, summer is bliss! I am currently reading Eve Ensler and have a collection of feminist authors by my bedside. I also listened to Bedwetter and enjoyed it and Mindy is on my "to read" list on Goodreads. I will have to add the the others! You could always link to Worldcat, but I don't begrudge you an Amazon link. Just finished Ursula Vernon's Hugo award winning graphic novel, Digger, which I think is still available online but is about to be released in print.